Suzuki Mariya (20), a member of AKB48’s Team B, has landed her first acting role in a movie. She will star in a horror film called “Kokkuri-san: Gekijoban,” based on a popular form of spiritual divination known as “Kokkuri-san” that has similarities to Ouija boards. Kokkuri-san is often popular among young students in Japan. In this movie, Suzuki plays a high schooler named Eri, and her mother’s mysterious death leads her to confront a curse made through Kokkuri-san. The movie is written and directed by Nagae Jiro (“2ch no Noroi Gekijoban”). Kataoka Asuka (33) will play a teacher, while retired gravure idol Umemoto Shizuka (18) will make her return to show business playing Eri’s friend. “Kokkuri-san: Gekijoban” opens on November 26. On October 16th, AKB48’s Fujie Reina and actor Yagami Ren attended a stage greeting for their horror film, “Enkiri Village ~Dead End Survival~“. At the end of the event, Yagami promoted the movie saying, “Through ‘Enkiri Village’, I want people to feel the importance of people and bonds.” Fujie also stated, “When you watch this movie, you are able to feel the importance of relationships with people.” The stage greeting ended with a warm round of applause from the audience. “Enkiri Village ~Dead End Survival~” is currently showing in Warner Mycal Cinemas at Hinode, Itabashi, Kohoku New Town, and Ichikawa Myoden. On October 22nd, Fujie and Director Tsubaki are scheduled to hold a stage greeting at Warner Mycal Cinemas Hinode. love her outfit! <3 it's super cute! About a month ago, 48 adult women dressed as school girls took to the stage at the historic Budokan arena in Tokyo, the same place where The Beatles made their Japanese debut. 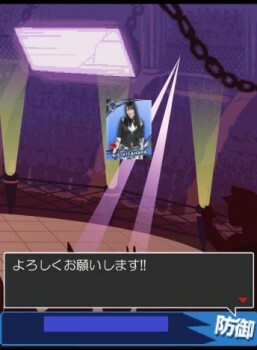 Fans streamed into the venue, and the proceedings were broadcast live in movie theaters across Asia—in Japan, Hong Kong, Singapore, Taiwan, and Thailand. But this wasn't a traditional concert. 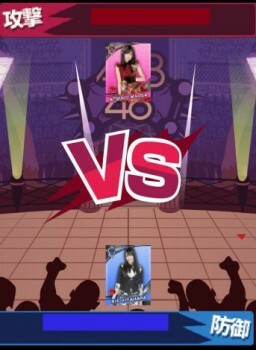 It was a rock-paper-scissors tournament, pitting the members of Japan's perhaps most successful contemporary musical act against one another. Two by two, each of the 48 members of AKB48—the six-years-in-the-running girl group that the Guinness Book of World Records has called the largest pop act in the world—approached the podium, stretched out their right arms, and touched knuckes. A striped-shirted ref then shouted "jankenpon," the Japanese name for rock-paper-scissors, and the pairs played the schoolyard game. At the end of the night, 25-year-old Shinoda Mariko won the March-Madness-like bracket, earning the right to be the center of attention for AKB48's 24th video, a release sure to further cement the group's massive popularity in Japan. This is how AKB48 has risen to the top of the J-pop universe: as much through its catchy tunes as through its plentiful, accessible, non-musical antics. Founded in 2005 by Japanese music producer Yasushi Akimoto, who wanted to create a collection of "idols you can meet," AKB48 has achieved domestic ubiquity with a string of chart-topping hits, spin-off bands, TV shows, ads, unceasing autograph signings, and a few permanent theaters in major Japanese cities where its subgroups perform regularly. But Akimoto isn't content with domestic triumph. Earlier this month, it was announced that AKB48 would open two overseas branches in Jakarta and Taiwan, respectively dubbed "JKT48" and "TPE4." "The era of imitating the West is over," Akimoto said in 2010, when international locations were just rumors. "Now we export Japanese culture." Akimoto's timing is right. Last month, the Japanese government unveiled a new logo—think the rising sun with racing stripes—for its "Cool Japan" campaign. The initiative, which takes its name from a 2002 Foreign Affairs article, aims to expand Japan's soft power globally even as its economic power wanes—a goal that's become all the more urgent following the March 11 earthquake. But isn't Japan cool already? Anime, manga, Nintendo, and Hello Kitty rose to worldwide ubiquity decades ago and have stayed there. Yet "Cool Japan" hasn't succeeded in spreading Japanese pop music very far. The Japanese government made '90s-throwback-boy-band Arashi the official musical representatives of tourism in 2010, and this year the group starred in a video that aired in places like New York's Times Square, promoting tourism to Japan. Problem is, Arashi aren't likely to be recognized by the average person wandering around Manhattan, especially when the infomercial they star in is mostly in Japanese. Other groups, like theatric rockers X Japan, boast a cult-like following capable of selling out decent-sized venues, but nothing more. 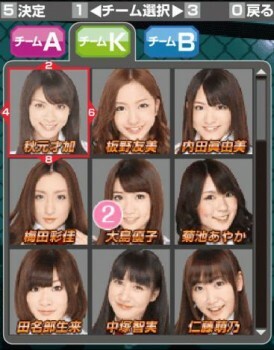 AKB48 seems poised to change that. Already, the group has used multinational business tactics—economies of scale, franchising, incessant brand marketing—to polish an old Japanese trope: the singing school girl. In his book Japanese Schoolgirl Confidential, Brian Ashcraft writes that, following World War II, the Japanese turned to schoolgirl-aged performers for escapism and for hope in the future of the devastated country, and this trend persevered through the years. Akimoto himself has been involved with similar groups: He wrote lyrics for insanely popular '80's J-Pop group Onyanko Club, consisting of school-uniform-clad young women who seemed more approachable than the typical idol. AKB48 also borrowed dance steps from '90s megastars Morning Musume, an idol collective peaking at 16 girls strong that used its own morning show to promote itself. Morning Musume also split members into smaller bands—a technique AKB48 uses via mini-groups like Not Yet and French Kiss. But AKB48's ambitions have been grander than any of their predecessors'. The act's base is a theater in Tokyo's Akihabara district, the center of Japan's obsessive, anime-loving otaku masses ("Akihabara" is where the "AKB" comes from). The group—split into three teams—performs every night of the week, endearing its members to a fan base willing to purchase multiple copies of new CDs (and in one case, 5,500 of them). In recent years, escaping AKB48 has seemed impossible even if one flees Tokyo. Akimoto has expanded his empire with locations and sister groups in the cities of Nagoya (SKE48) and Osaka (NMB48), and introduced a more "mature" unit dubbed SDN48 ("Saturday Night 48"), though the members of that particular iteration are scheduled to soon "graduate" from the group. He's also started annual events grabbing major media coverage: The band's official "election" gained news coverage sometimes rivaling legitimate political races. On top of all that, the group recently began a sketch-comedy show, and have announced plans to start a radio drama and an anime series. But AKB48 aren't content with just saturating the Japanese music market. The jumbo-sized group frequently plays shows around Asia and also have performed in Paris, Russia, and New York. One can find official AKB48 stores in Taiwan, Hong Kong and Singapore, and the latter location will soon open a special theater where members will perform regularly. Plenty of other J-Pop artists have hosted special concerts around Asia, but none have set up an actual presence like AKB is planning to do in Jakarta and Taiwan, using local girls but adhering to the group's original principals. 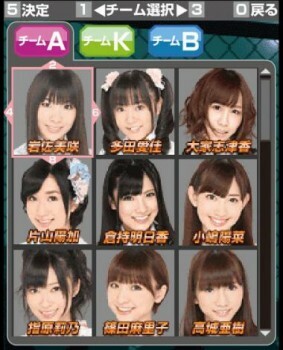 Why AKB48, though? Musically, they sound unremarkable and reminiscent of the similarly marketed groups before them, the worst tendencies of Europop fused with dinner-theater cheesiness. There isn't much separating the Dance Dance Revolution throb of 2010 track "Ponytail And Scrunchie" from 2011's "Everyday, Kachūsha." What's more, if the world were looking for good and varied J-Pop, there isn't a shortage, from the infectious dance pop of Perfume to the genre-slithering of Kaela Kimura to the grandiose-done-right sounds of Ayumi Hamasaki. Yet, like a lot of J-Pop and pop music around the world, the music plays only a small role in group's popularity. Ashcraft writes that one of AKB's strongest selling point aren't the tunes but the illusion of a personal connection. With four-dozen girls in the group blessed with different interests and personalities, Ashcraft says the group is "an idol smorgasbord where fans can find at least one idol to his or her taste." This manufactured connection is what drives listeners to become obsessive about the group. Ultimately, AKB48 says a lot about Cool Japan and efforts like it. Although the people behind this cultural push have tried to emphasize more traditional aspects of the country—think textiles—the stuff that sticks has been pretty much the same for the past 20 years: anime, video games, cute characters—all things heavily associated with Akihabara. AKB48 isn't blazing a new path forward for Japanese culture; it's an extension of what has been selling but applied to music, and Akimoto's clever business strategy may be the only truly trailblazing aspect of the group. It's working, though. After Jakarta and Taipei have their theaters, China and Thailand may be next, Akimoto has said. Even though AKB seems poised to march through Asia, it's hard to imagine their model having success in the West. Though Akimoto dreams of plopping a theater down in Italy, the culture of AKB48 is in direct opposition to the Western world's culture of celebrity. The West wants to know all the details about our celebrities—we want to hear about Beyoncé and Jay-Z's relationship, and Lindsay Lohan's struggles. Not so much with AKB48: Listeners want the fantasy aspect of it to remain intact, to the point that AKB has instituted rules ranging from "no smoking" to "no boyfriends" in an effort to keep fans' dream worlds safe. This just wouldn't work on a large scale in the West. Don't expect NYC48 anytime soon. For AKB48, though, it's one step at a time. The branches in Jakarta and Taiwan will be the group's first true international test, and Akimoto plans for the group to continue expanding within Japan as well. Yet if everything works out well, who knows where AKB's brand of plaid skirts and rock-paper-scissors tournaments will end up next? 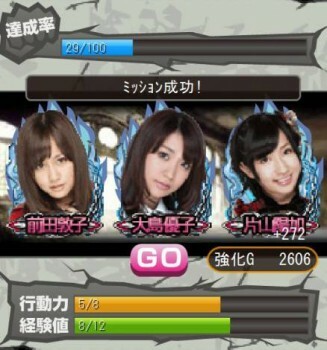 AKB48'll have their own card battle social game at Gree, "AKB48 Stage Fighter". 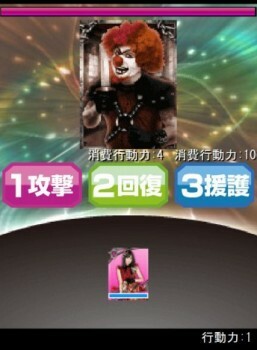 Will be released at 10/25 along w/ CM. AKB48, EXILE, Kumi Koda receive letters of appreciation from the Japanese Government for performing at the Japan-Vietnam Music Festival earlier this month. The government on Tuesday presented letters of appreciation to all-girl pop group AKB48, singer Kumi Koda and all-male pop group EXILE for their contribution to fostering Japan-Vietnam relations by performing at a concert in Vietnam on Oct 9. The concert was part of the second Japanese-Vietnamese music festival of friendship at Hanoi Opera House. It was broadcast live in Vietnam. 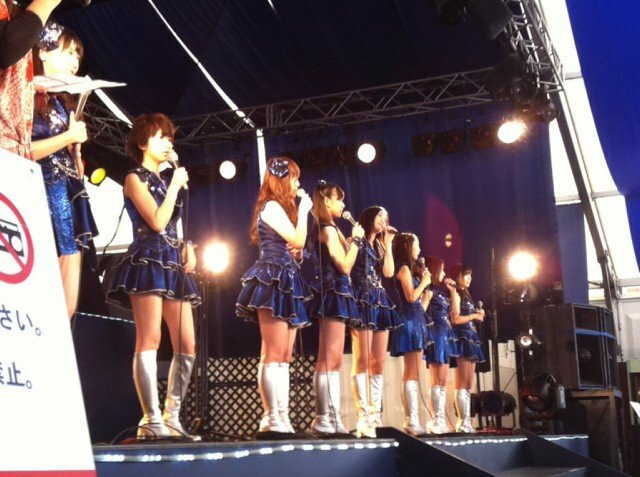 AKB48 were cheered on by about 3,000 fans who sang and danced along with the group. Also representing Japan besides AKB48, Koda and EXILE were goodwill ambassadors, folk singer Natsuko Godai and actor Ryotaro Sugi. At Tuesday’s ceremony, Chief Cabinet Secretary Osamu Fujimura handed letters to the singers and said Japan was proud of them and their contribution to Japan-Vietnam ties, Sankei Shimbun reported. Did not see this news posted anywhere, so..... Congratulatons to AKB48 and Exile for their official Government of Japan recognition!!! Members of the popular all-female Japanese pop group AKB48, as well as the vocal and dance group EXILE, received letters of thanks from the government Tuesday for their contribution to friendship between Japan and Vietnam. The performers took part in a Japan-Vietnam music gala event, which was held in Hanoi on Oct. 9 to express Japan's gratitude to Vietnam for its assistance in response to the devastating March 11 earthquake and tsunami. ''You, leading Japanese artists, put on a great performance'' in the concert, said Chief Cabinet Secretary Osamu Fujimura, who handed over to the singers letters of appreciation sent by Foreign Minister Koichiro Gemba. ''I'm glad to receive a great prize. I was nervous,'' Minami Takahashi, one of the key members of AKB48, told reporters. YKT san, thank you for all your posts regarding the recognition that Exile and AKB48 received from the government!!!! I hadn't checked this thread when I put up the Kyodo News service story. 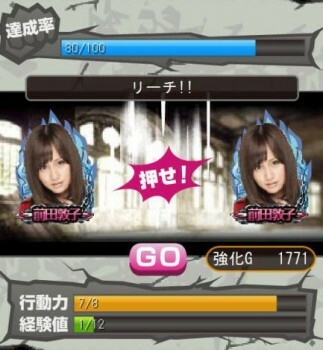 Mayuyu was giving great moral support to Takamina!! 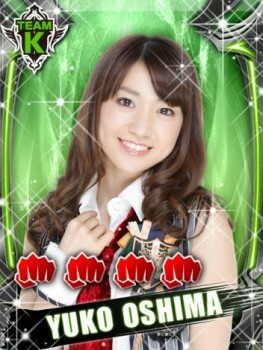 Now I don't have an excuse for not remembering the prefecture Yukirin is from. On October 28th, it was revealed that AKB48 member and Kagoshima-native Kashiwagi Yuki was chosen for the prefecture’s image CM titled, “Honmono. Kagoshima Prefecture”. In this advertisement, she will be dressed in a traditional clothing style while bringing attention to various sightseeing spots and products in Kagoshima to the viewers. Kashiwagi, who is surrounded in a beautiful environment from this prefecture, will appear in this CM with Lidth’s Jay on her shoulders, a blue bird that is the official bird of Kagoshima. As she goes around various tourist attractions such as the beaches of Yakushima and Amami Islands, she will also be featured while eating a gourmet shabu-shabu in a beautiful porcelain bowl. 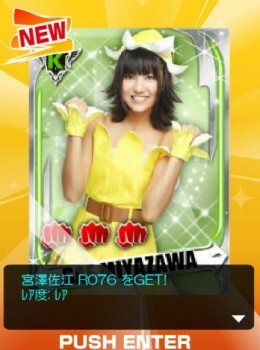 The end of this CM will close with Kashiwagi stating their slogan, “Honmono. Kagoshima Prefecture”, with a beautiful symbolic cherry blossom tree in the background. This CM will begin airing on November 1st in areas of Kantou, Kansai, and Chubu region of Japan. At a press conference on the 31 Oct 2011, Oshima Yuko came out holding a baby. A new scandal? No, of course not. 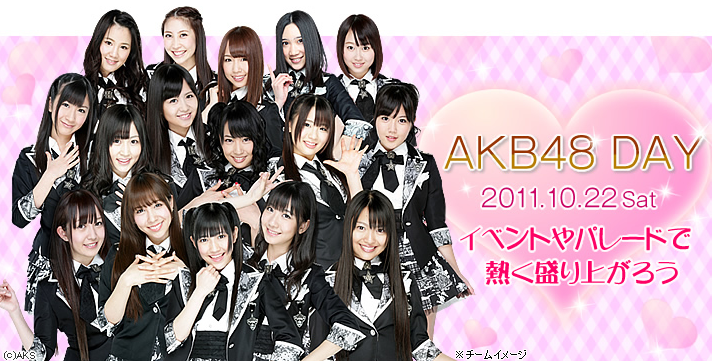 The press conference was the launch of AKB48's new Internet Service Provider [AKB48 OFFICIAL NET]. 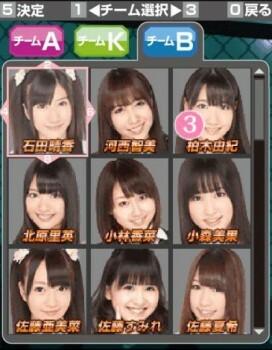 - email that ends with "@akb48.ne.jp"
Yup. [AKBaby]. No sadly you won't get a chance to mate with your oshimen. It's a special service for subscribers to [AKB OFFICIAL NET]. Starting from November 1st, they can find out how they and their idol's baby will look. The slogan for this service is "Why don't we make a baby? On the net." If you were wondering, the baby shown above is the baby between Oshima Yuko and Noda Yoshihiko, the current Prime Minister of Japan. But have you really, seriously considered what your baby with one-half of Brangelina, Scarlett Johansson or Jon Hamm when he’s not pretending to run an ad agency would look like? To the legions of AKB48 fans, the fanciful thought will not require so much imagination. 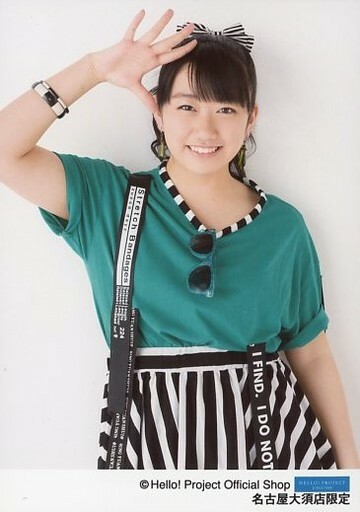 “Will you make a baby with me?” goes the proposition from Yuko Oshima, one of the singers that make up the 48-strong ultrapopular all-female pop group. (61 if you include members-in-training) Ms. Oshima’s question accompanies the group’s new online application called “AKBaby” released Monday. AKBaby allows fans to see what their offspring would look like should its mommy be one of the five AKB48 girls selected for this project. Fans can email in a picture of themselves to be electronically combined with their favorite performer. A finished illustration of an infant that boasts, say, your lips and her nose is sent back as a “present.” On the official website, the result of one heavyset fan’s face combined with Ms. Oshima’s portrait is a wide-eyed bundle of joy. At Monday’s press conference, a video showed what an imaginary baby born between the 20-year-old singer and Japan’s Prime Minister Yoshihiko Noda would look like. 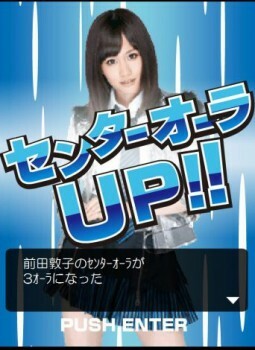 It is the latest of an array of promotional schemes aimed to endorse yet another AKB48 project. This time it’s to draw attention to the launch of the group’s own Internet service plan called “AKB Official Net.” In addition to providing access to the Internet, the package grants access to exclusive AKB48 content and services, such as AKBaby. Other perks include being able to reserve seats to the group’s daily shows in Tokyo ahead of time and requesting songs to go on a compilation album of the group’s best hits, with others under consideration, according to the plan’s marketing company Fullcast Marketing in Tokyo. Consumers will also get free access to AKB48’s new fan club to be launched in December and will be outfitted with AKB48 email domain names. The Internet service package goes on sale Tuesday and will cost ¥1,480 per month, about ¥200 more than comparable packages to account for the extra content, according to the marketing group. Customers will need either optical or ADSL Internet connection provided by NTT East or West. The Internet package and baby-face program is just one of many projects in the excited arsenal of the AKB48 nation. Created only in 2005, the pop ensemble has accumulated 23 singles, many of them No. 1 hits. It has spawned five spinoff sister groups, including one in Indonesia dubbed “JKT48.” The girls have been selected to be Japan’s cultural ambassadors and representatives in the wake of the March 11 disasters, stewards for various bodies including the Red Cross Japan, MTV Japan and most recently as one of the headlining groups at a music event in Hanoi promoting bilateral ties. Their daily shows in Tokyo’s Akihabara district are often sold out, “handshaking” events to greet fans are emotional mob scenes and the recent announcement of an original AKB48 TV anime series to debut next spring has kicked up an excited reaction from fans. Part of the group’s draw is the democratic power it gives fans. Fans vote for their favorite performer to determine who will win a solo on an upcoming single, pass the public audition for a voice in the upcoming anime series, for example – or most recently, which girl they’d like to imagine having a baby with. Whether this latest enterprise sparks or satiates curiosity is to be determined. AKBaby...not going to lie...this is kinda creepy...I think I'm going to stay away from this one. AKB stamps Luckily they used the generic profile pics, so I won't feel compelled to collect them.